What are Co-debtors in Bankruptcy? When completing your bankruptcy petition in perpetration to file bankruptcy in Texas, you must tackle a large amount of paperwork. Among the required paperwork are lists of financial information called schedules. Schedules give debtors a “template” if you will, to list all their debtors, property, income, and expenses for the US bankruptcy courts. Contained in these schedules is the Schedule H: Your Co-debtors, which causes some individuals confusion as to what exactly qualifies as a co-debtor. A co-debtor is an individual who has agreed to pay a debt if the primary debtor fails to do so. 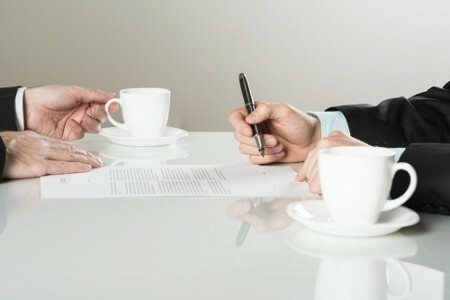 Sometimes referred to as cosigners, co-debtors are listed in your bankruptcy petition because the debt that they agreed to cover for the original debtor does not discharge in bankruptcy like usual. Instead, co-debtors are still responsible for paying back the debt. As aforementioned, if someone cosigns for a loan along with another individual, they are considered a co-debtor. Spouses that take on debt such as a mortgage or credit card along with their other spouse are also considered a co-debtor. If you live in a common property state, anyone married to you qualifies as a co-debtor. Additionally, if you personally guarantee a business debt, you are considered a co-debtor for that particular debt. How are Co-debtors Treated in Bankruptcy? Chapter 7 bankruptcy eliminates your legal obligation to paybacks certain debts. Bankruptcy discharge includes debts that you had another person as a co-debtor on the loans. The co-debtor, however, will still be responsible for paying back the debt. Even after the Texas bankruptcy has been concluded, collection attempts can resume against the co-debtor. In Chapter 13 bankruptcy, the co-debtor is still responsible for paying the debt but will have three to five years to repay the debt, just as the individual filing the Chapter 13 bankruptcy has. Because cosigning for a loan means you are responsible for repaying the debt if the other party files for a Texas bankruptcy, you should only do so after careful consideration. If you have cosigned for another individual and are struggling with repayment, you can permanently eliminate the obligation to repay the debt if you file bankruptcy. Also, if you are married and your spouse is considering bankruptcy, you should weigh the pros and cons of filing separately or filing bankruptcy jointly.